Jane was born on December 14, 1935 in Muskogee. She was raised primarily in Wagoner, Ok along with one brother. 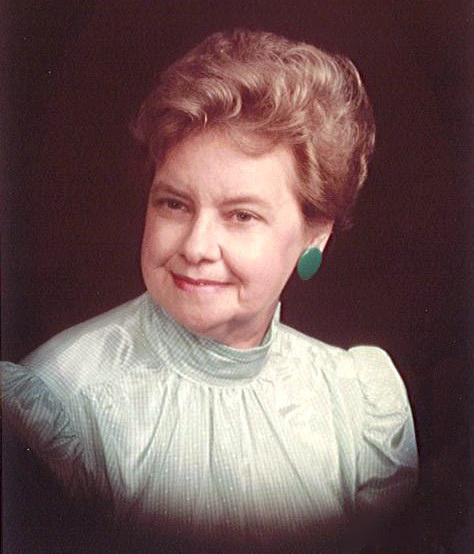 Jane attended Wagoner Public School and graduated in May of 1955. On May 15, 1955 she married the love of her life, Lloyd Kilpatrick. Jane worked for Rickett’s Music Store for several years as the bookkeeper. Then she went to work at Kubota as a bookkeeper for several more years. Her final position was as the evening secretary at ICTC. She retired from this position in July, 2001. Jane was a devoted Christian. She was baptized into Christ in May 1956 at Central Church of Christ and remained a faithful servant throughout her life. She never missed a service until health issues prohibited her attendance. She loved baking desserts for church dinners and always remembered everyone’s favorite pie or cake. Jane loved gardening. She always eagerly waited for spring so she could get her hands in the dirt and tend her flowers. Jane always said that her greatest accomplishment were her three children. She was so proud of the adults that they became. She was equally proud of her grandchildren reveling in all of their many accomplishments. Jane went to be with her Lord on Tuesday, February 5, 2019 surrounded by her family. She will be greatly missed by everyone who knew and loved her. Jane was preceded in death by her husband, Lloyd Kilpatrick; brother Billy Douglas; sister-in-law Linda Kilpatrick; three brothers-in-law, Gerald Tackett, Bud Miller and Bill Kilpatrick; as well as her parents, and many aunts, uncles, and cousins. Jane is survived by one son, Chris Kilpatrick and daughter-in-law, Shelli Kilpatrick of Oologah; two daughters, Sherrie West of the home and Jan Brown of Coweta; three grandchildren, Matthew West of the home, Zachary and Courtney Kilpatrick of Oologah; one brother-in-law, Troy Kilpatrick and his wife Joyce of Romeo, Michigan; three sisters-in-law, Cona Mae Tackett of Sallisaw, Gilberta Walker and her husband Granville of White Horn Cove, and Edith Miller of Abilene, Texas; and numerous nieces and nephews. A memorial service celebrating Jane’s life will be 2PM, Tuesday, February 12, 2019 at Cornerstone Funeral Home Chapel with Minister Ken Tackett officiating.